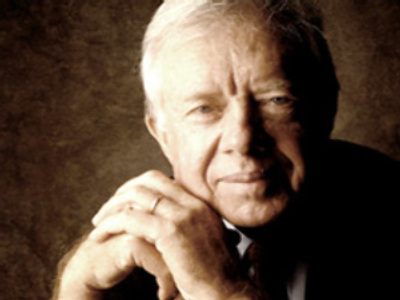 Israel has 150 nuclear weapons in its arsenal, according to former U.S. President Jimmy Carter. He made the statement while arguing that the U.S. should talk directly to Iran to persuade it to drop its nuclear ambitions. Carter cited Israel's nuclear arsenal and those of the U.S., Russia, China, Britain and France as proof that Iran would find it almost impossible to develop weapons and the missiles to deliver them in secret. Israel has never admitted having nuclear weapons, although the world assumes their existence. Nor do U.S. officials deviate in public from Israel's line. Meantime, UN nuclear watchdog chief Mohamed ElBaradei is slated to release his latest report on Tehran's uranium enrichment activities. The report is expected to be put before the IAEA Board of Governors' members on Monday.